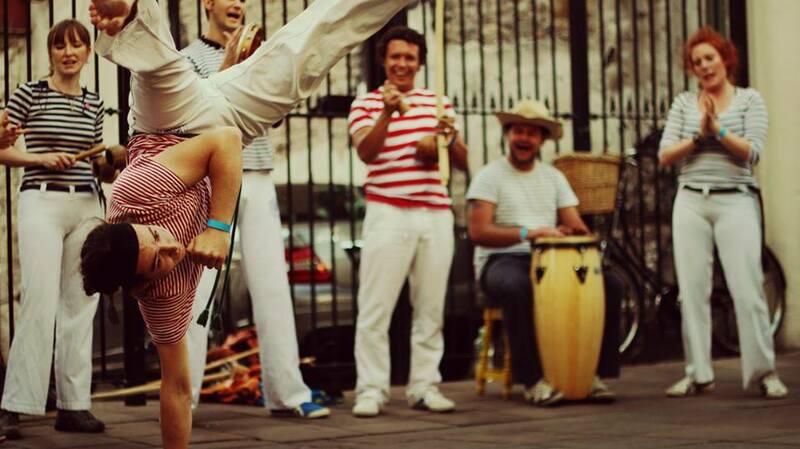 Capoeira is an energetic and exciting dance & fight and it is these unique factors which make it totally captivating to watch. Our group works with the rich elements of traditional Brazilian dance, culture and music promoting art forms such as maculele (warrior dance) and Samba, as well as capoeira. We have many years experience in performing and giving workshops producing quality displays. 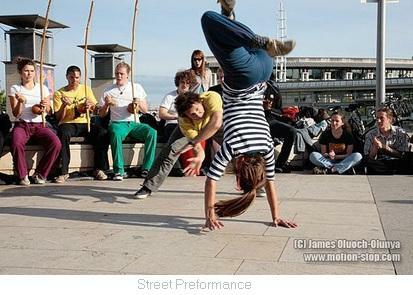 We have worked with the BBC and BBC Wales and we have performed at events such as the Bristol and Harbourside Festivals. 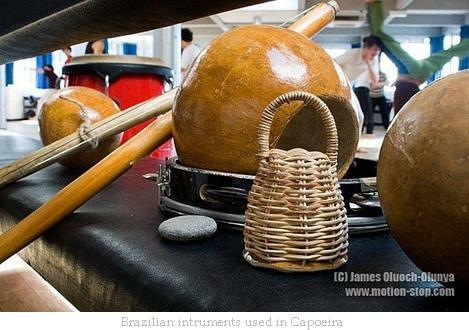 If you are interested in hiring our capoeira group for a performance please contact CM Claudio Campos on 07882745860 or email claudiocamposrosario@hotmail.com. 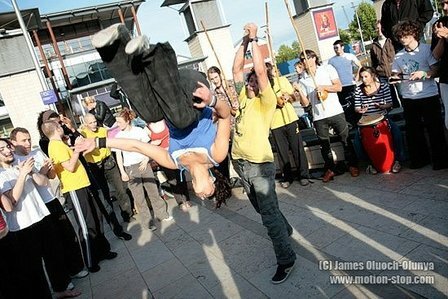 Claudio has over 20 years capoeira experience had has been teaching capoeira in the UK for 8 years. 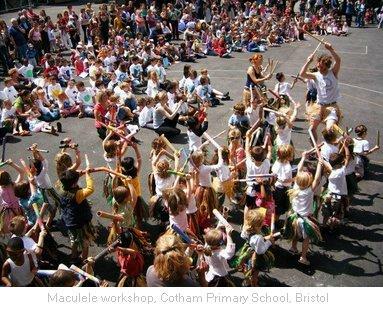 Claudio has enjoyed working with schools across Bristol, Bath, Cardiff, Wiltshire and Gloustershire such as Christchurch Primary School, Clifton, Haysefield School, Bath and Archway School, Stroud. If you are looking for a one off workshops or a series of classes please contact us.